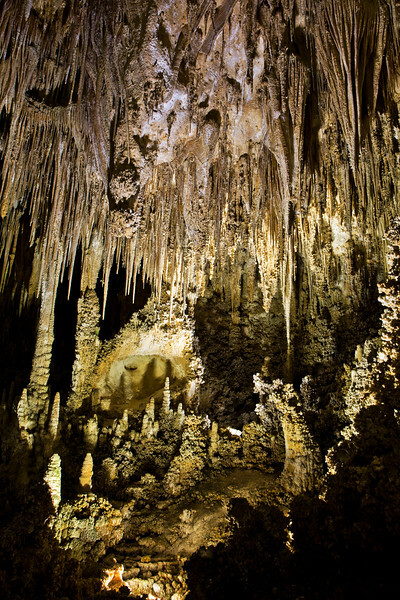 After a long hike down into the main room you start seeing beautiful stalactites and stalagmites. The formations are beautifully lit to give the optimal viewing experience. Make no mistake, the cave is still dark but the lighting on the features is more than enough to make out the beautiful formations. All of these photos are long exposures taken with a tripod.